Disaster Cleanup Services of Wheat Ridge is available on demand for flood and water damage emergencies. Wheat Ridge chooses Disaster Cleanup Services because they know that water removal is only the beginning; after the water has been removed, damage restoration must occur. Water damage can be disastrous for the structure of a house; whether large or small you absolutely must catch both all damage before it destroys the safety of the home. Without proper clean up after water damage, dangerous mold and structural issues can develop. Disaster Cleanup Services will help remove water and prevent additional problems by identifying all areas that need to be properly dried out in order to prevent the development of molds and mildew in the future. If this is not done right, the moisture that collects in walls, flooring, rugs, wood and drywall can easily turn into mold. When disaster strikes you have very little time to decide who will be your water problem solver, but you are in the right place. If you’re in need of emergency water removal, just call Disaster Cleanup Services specialists, available seven days a week, 24 hours per day. One of our highly trained technicians will begin water extraction as quickly as possible. We use the most up to date and technically proficient equipment and processes, and all of our people are well-trained, with years of experience. Those things combine to help us keep our costs low for our customers. We would never make your situation more difficult with complex hidden charges. We even offer estimation and phone consultation for your needs. We will get rid of your water and dry your property before any more damage can be done. 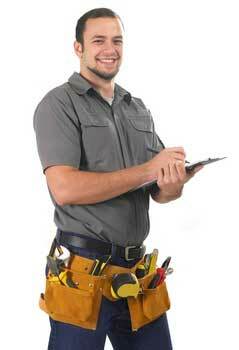 We have technicians on standby, available to come to your home or office at this very moment. Water cleanup services are offered in both residential and commercial areas all across Wheat Ridge, CO.